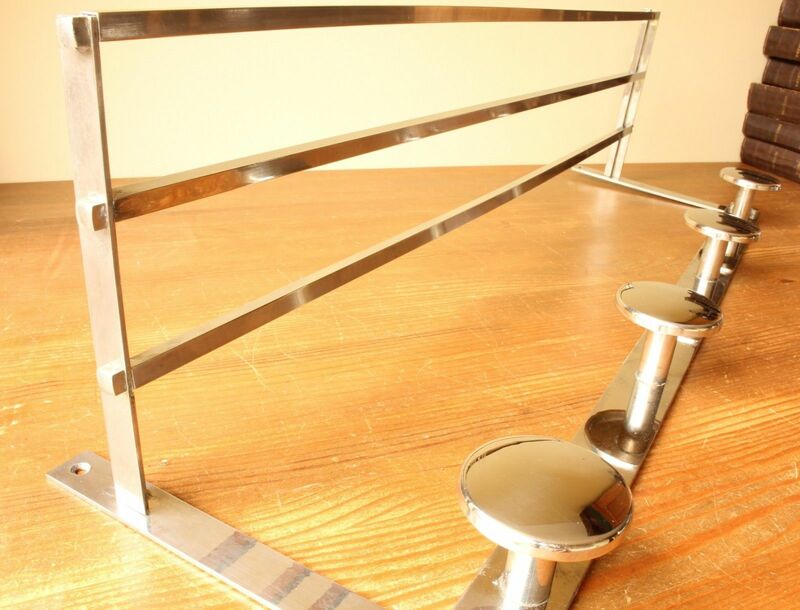 Art Deco French Chrome Coat Hat Luggage Rack. 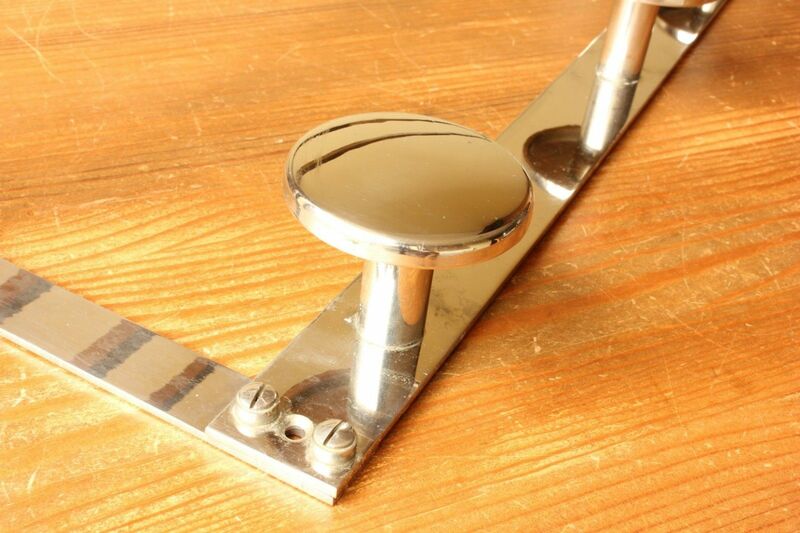 Vintage Wall Hook Shelf. c1935. 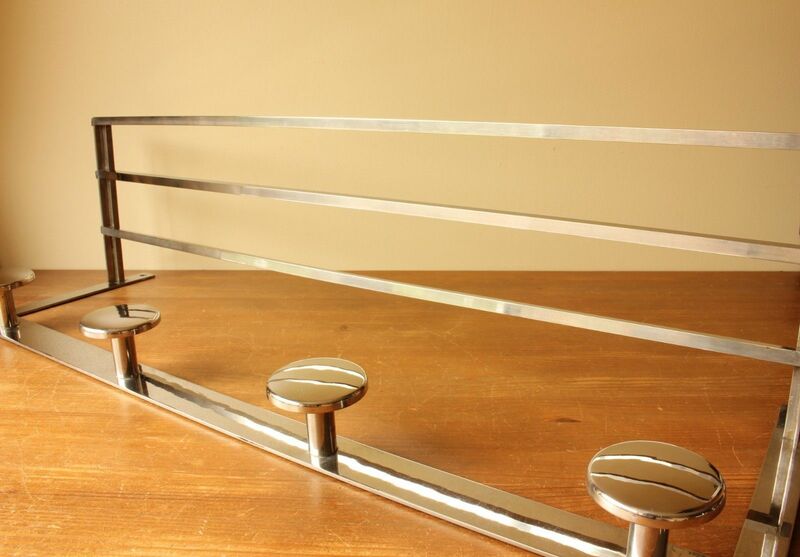 This original Art Deco French coat rack dates from c1935 and is made of heavy quality chromed brass. 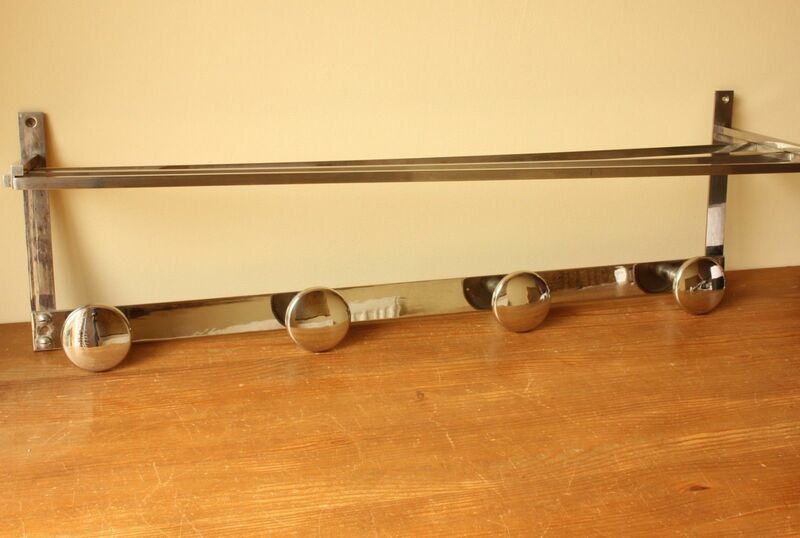 The 3 rails across the top are ideal for storing hats and there are 4 round mushroom hooks for hanging your coats, umbrellas and bags. 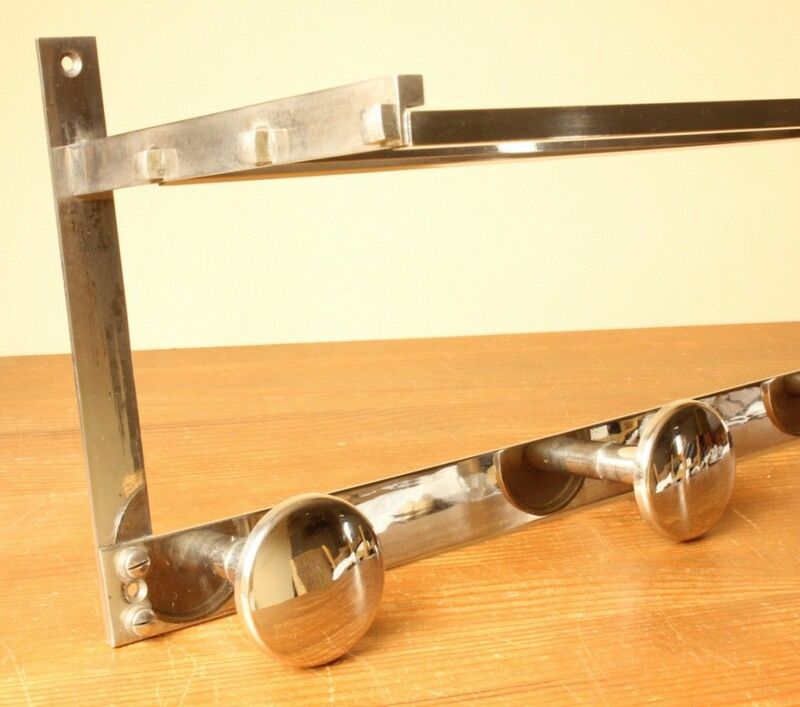 This true vintage usable item looks super cool hung in a hallway, shop or bar. It fixes to the wall using the 4 screw holes on the backplate. (Screws not supplied). Width: 80 cm (31 1/2") approx. Height: 24 cm (9 1/2") approx. Depth: 22 cm (8 1/2") approx. The rack will be delivered in two pieces and will require a screw driver for assembly. Condition: In very good used vintage condition with some signs of use in keeping with age. 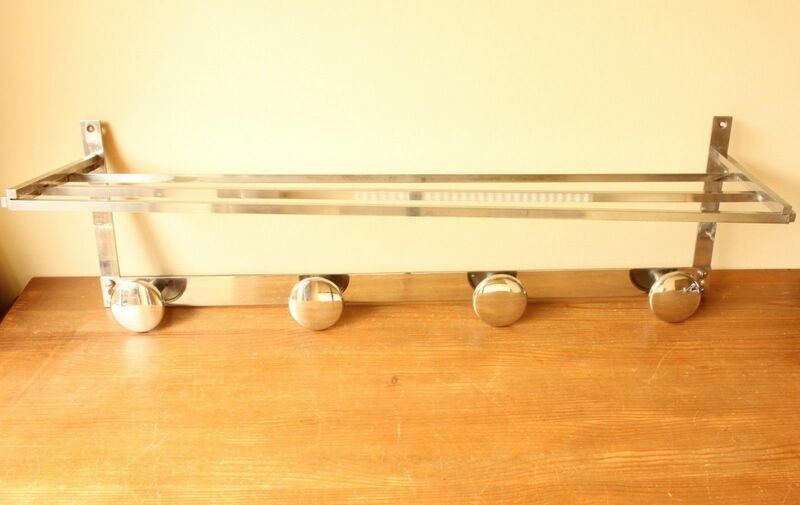 Some light wear / surface scratches and patina which adds to the true vintage look. Please see pictures.